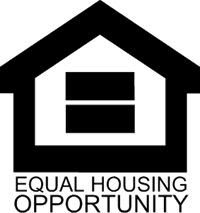 Fair Housing - CJ Real Estate, Inc.CJ Real Estate, Inc.
Federal District Court: If you or the respondent choose to have your case decided in Federal District Court, the Attorney General will file a suit and litigate it on your behalf. Like the ALJ, the District Court can order relief, and award actual damages, attorney’s fees and costs. In addition, the court can award punitive damages. In Addition You May File Suit: You may file suit, at your expense, in Federal District Court or State Court within two years of an alleged violation. If you cannot afford an attorney, the court may appoint one for you. You may bring suit even after filing a complaint, if you have not signed a conciliation agreement and an Administrative Law Judge has not started a hearing. A court may award actual and punitive damages and attorney’s fees and costs. Copyright © 2019 CJ Real Estate, Inc.